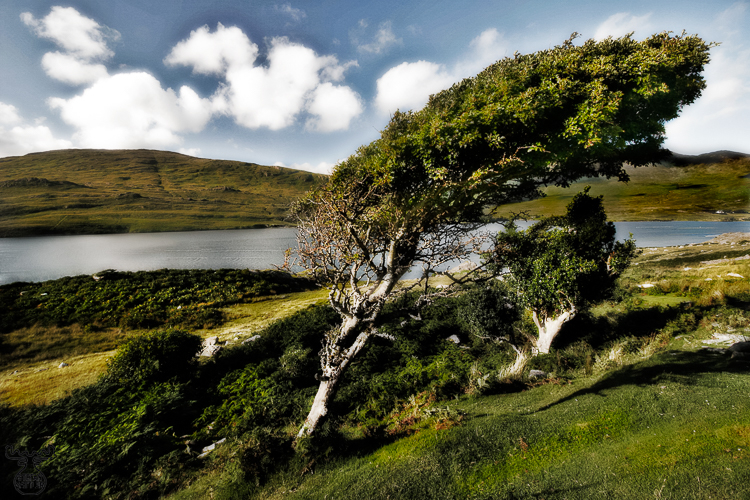 A lonesome tree, bent by the constant winds coming in from the close see. A little bit of manipulation to fit it into the "Ireland in Art" portfolio this special picture definitely belongs to my personal favorites. The Killary Fjord in Connemara, County Galway, is Ireland's only fjord. A beautiful place we only had limited time for visiting as it was already quite late and we had some more kilometers to go for selected campsite.